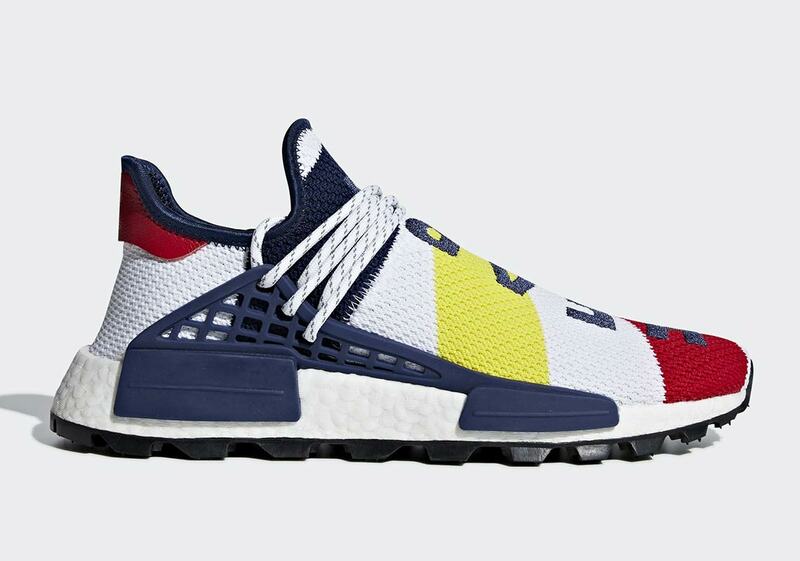 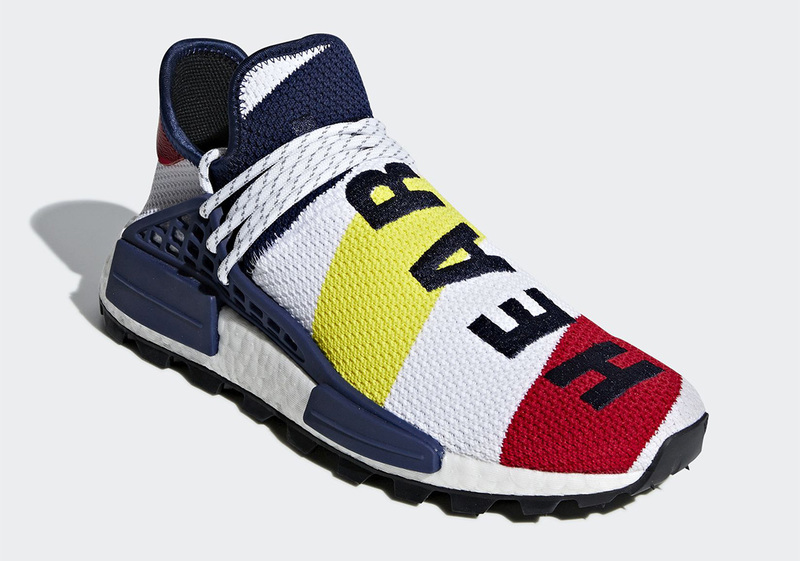 After the mid-September release of a special N.E.R.D adidas NMD Hu that was limited to a scant 200 pairs, Pharrell‘s Billionaire Boys Club is serving as the launching point for another NMD Hu. 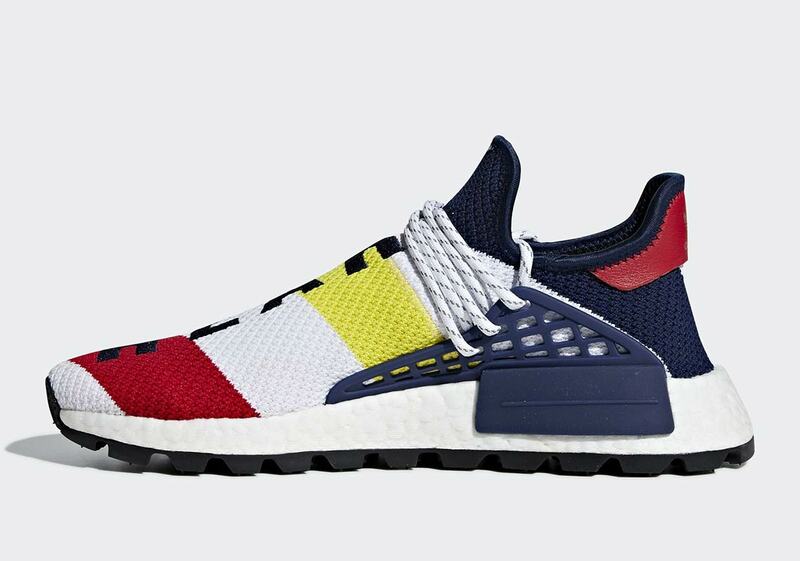 Featuring a white Primeknit upper with navy, yellow, and red stripes, the new sneaker offers an interesting modern-day take on classic nautical colors. 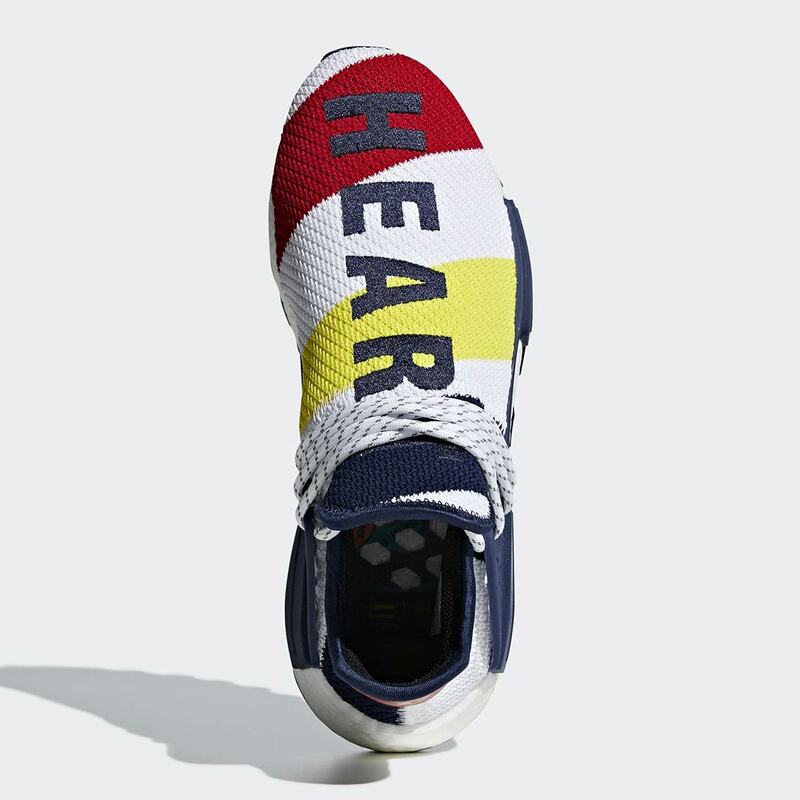 “Mind” and “Heart” are embroidered in navy on the left and right shoe’s respective uppers, nodding to BBC’s “wealth is of the heart and mind, not the pocket” slogan, and a small gold trefoil hit appears on the heel. 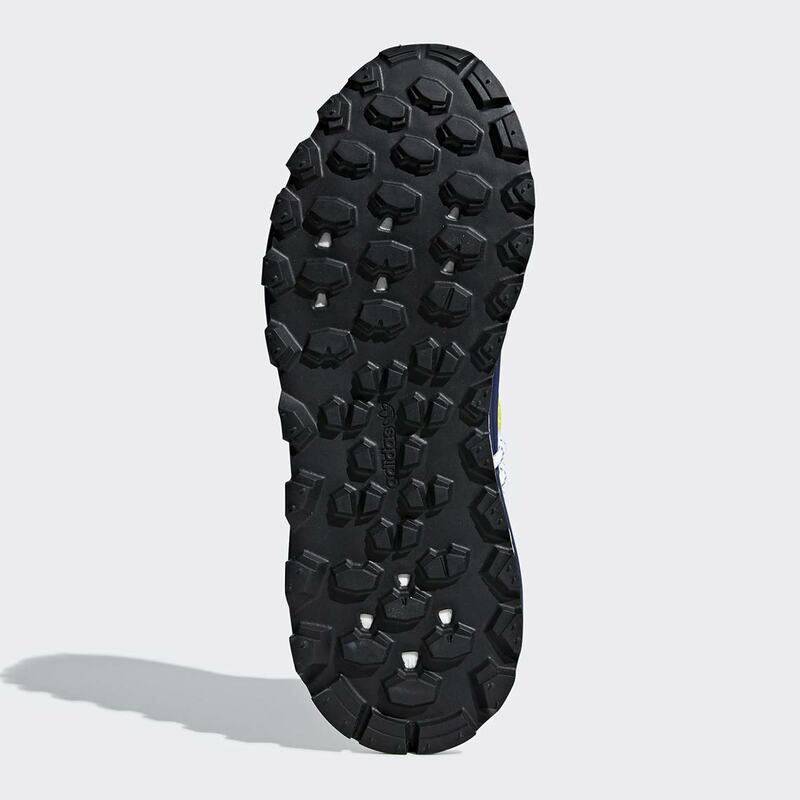 A thick white Boost midsole offers premium cushioning, and the rugged outsole ensures the wearer will be able to keep their footing on land or at sea. 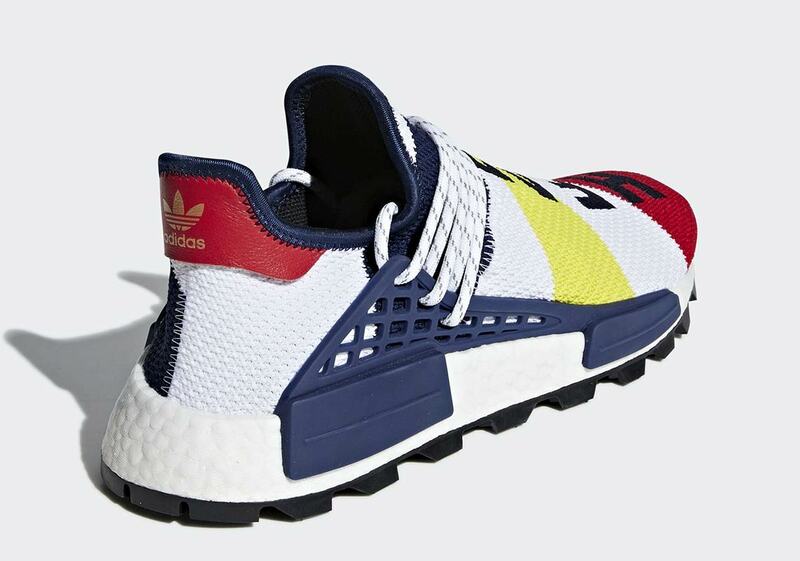 Look for these special adidas NMDs to release later this fall, and be sure to check our Sneaker Release Dates page for further updates as they’re available.